Credit card debt becomes difficult to pay off primarily because of the high interest rate. The interest amount that you will pay on top of your principal balance will always change depending on your debt. This means the bigger your balance, the bigger interest you will end up paying for. And that will continue to accumulate unless you do something about it. 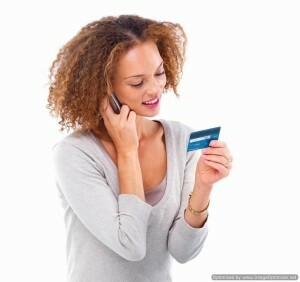 Fortunately for you, there are many ways to deal with the high interest on your credit cards. Let us discuss them one by one. Request for a lower interest. Ask and you shall receive. Believe it or not, this is sometimes effective especially for those who have a good credit standing and have never been late on payments. Just pick up that phone and give them a call. It wouldn’t hurt to ask. Credit card companies have the right to change interest rates without reason. However, the government mandates that consumers must be informed of it. So if you receive this notification, you also have every right to refuse the hike. Two things can happen here: the creditor can accept your refusal and retain your old rate or they can deny your request and agree to close your credit account (after giving you ample time to pay off your balance). Transfer your balance to a lower interest card. Balance transfer is a great way to cut back on high interest for a couple of months so you can make significant payments towards your principal debt. It is actually a great debt consolidation option. For a minimal balance transfer fee (3% of the amount being transferred), you get to enjoy an introductory promo of zero interest from 6 months to a year. That can help reduce your debts significantly. Apply for a debt consolidation loan. Speaking of debt consolidation, you can apply for a loan that is big enough to pay off all your high interest card debts and leave you with one big loan that is stretched over a 5 year period. Personal loans usually have lower rates than credit cards – especially secured loans. So if you have a good credit standing or a collateral, this can be a great option for you. Enroll in a debt management program. While the low interest is not a guarantee, you can also give debt management a shot – at least if you do not qualify for balance transfer or debt consolidation loans. The credit counselor who will work with you will negotiate with your creditors for a lower interest. If you are current in your payments, they may approve. But again, this is not a guarantee so don’t put all your hopes on this one. If you really want to solve your interest woes, you need to stop using your credit cards. Pay down your debt and keep you card to ensure that you will not have easy access to it. If your credit score can take a hit, cut your cards and keep only one – preferably the one with the low interest. Don’t worry about your credit score because as long as you keep making good payments on your debts, it will go up.